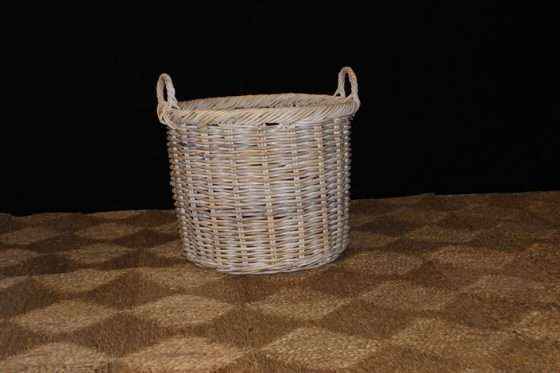 This round log basket is made from strong, hard wearing and stylish rattan. Available in 3 diametres, three heights (Tall, Squat and Short) and three colours. These are available in antique grey, natural rattan white wash and antique grey white wash. Perfect to hold all your fire wood close to your fire place. 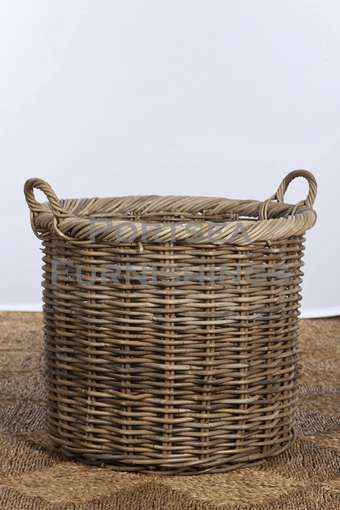 Our round log basket has been very popular with uses including planter basket, storage basket, laundry basket and toy basket. 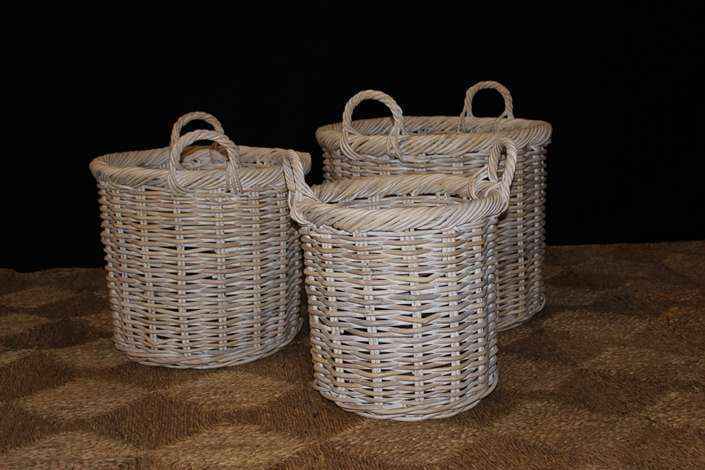 We also stock natural tall log baskets and squat log baskets, both come in 3 sizes. *Dimensions in brackets refer to the height including the handles. *All baskets are hand made and can vary in size from time to time.